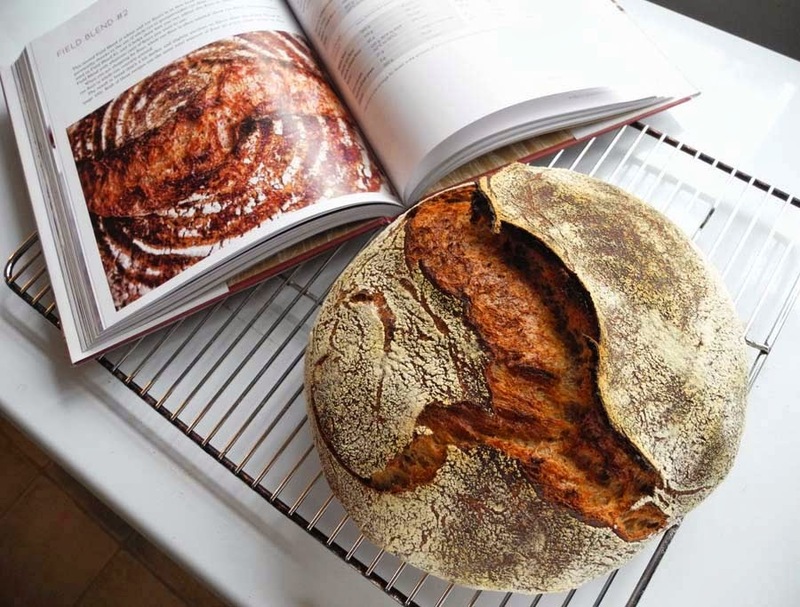 Ken Forkish's 'Flour Water Salt Yeast' is an inspirational book for home bakers who are dreaming about making real artisan breads at home. 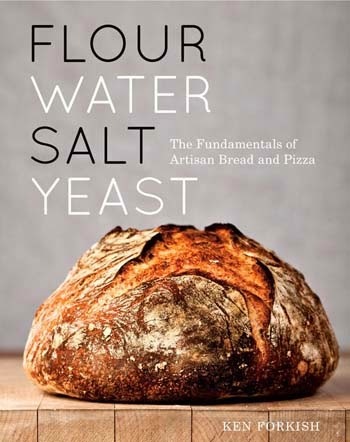 This is the kind of book that may drive you to your kitchen to start mixing dough as soon as you finish the book. 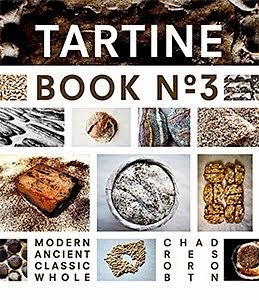 Every chapter is filled with the author's abiding passion and enthusiasm toward artisan bread baking that he learned from master bakers in France and the U.S. His intense journey - or obsession - in search of baking real artisan bread toward the goal of opening his own bakery is so vividly illustrated in the book that you may start to feel that you are actually living in it. His passion for baking bread is so serious and genuine that it is contagious to the reader - by the time when you finish reading the book, you would be obsessed with artisan bread baking, too. The first loaf I baked from the book was Field Blend #2. This bread has a combination of 12.5% whole wheat flour, 17.5% whole rye flour and 70% white flour (I used 2:1 ratio of bread flour and all-purpose flour for white flour). 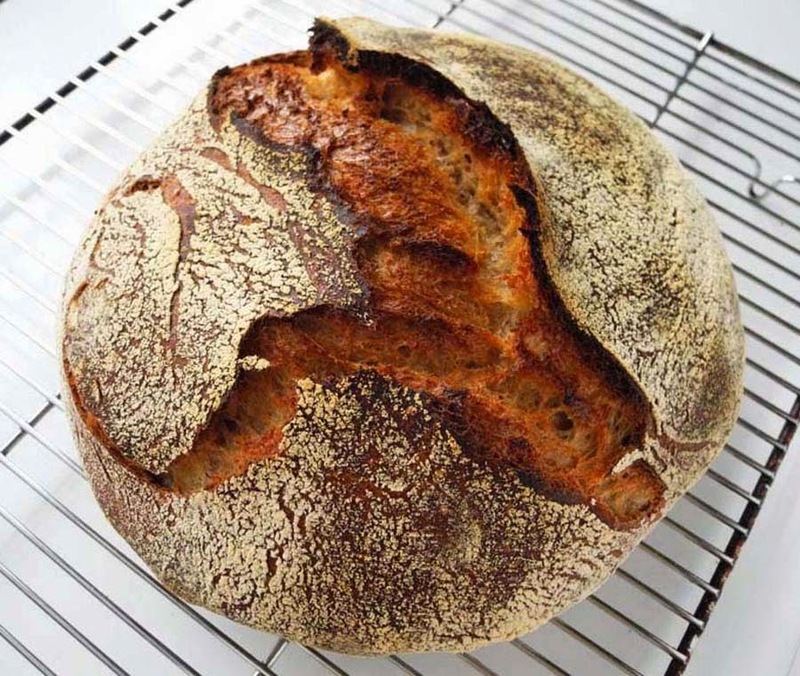 I picked this recipe since I love a slight hint of rye flavor/taste in a loaf. I cut the amount of the ingredients to half, since I was baking just one loaf. To make the levain for this bread, I used 25g starter to make 250g levain. The Forkish book instructed to make a larger amount (1kg) of levain, but I decided to make a smaller amount since one loaf in the recipe called for only 180g levain. Out of the 250g levain, I used 180g for the dough, and kept the rest in the refrigerator for my future baking. 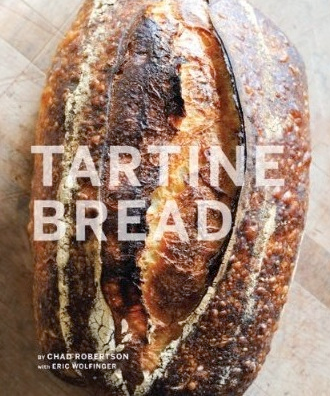 Most of Forkish's recipes call for relatively young levain, similarly to Robertson's Tartine recipes. 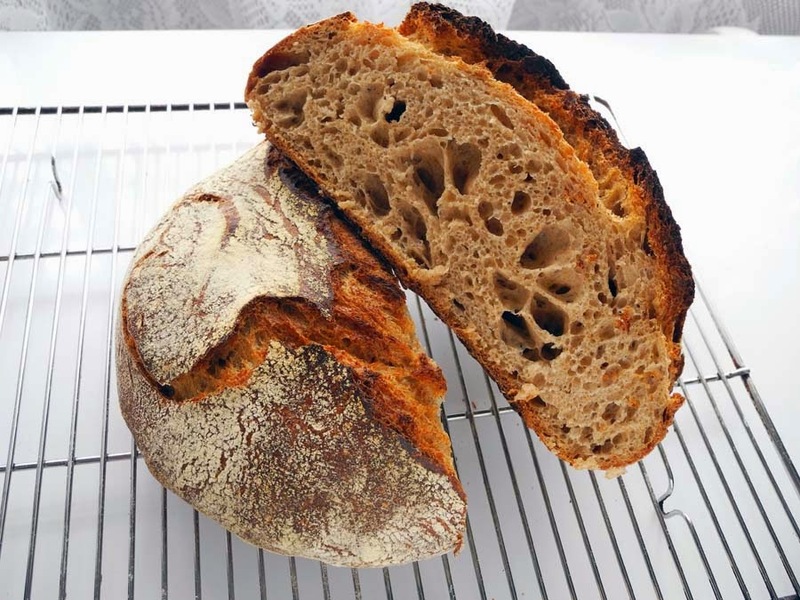 I like a mild sweetness with almost undetectable sourness in a loaf with young levain, so I used the levain as soon as it passed the float test which Robertson suggested in his Tartine Bread book. After the autolyse, I added the salt and the levain on top of the dough for the final mix. The recipe called for a small amount of instant yeast, too, but I forgot to add it (but somehow it turned out to be fine in the end). 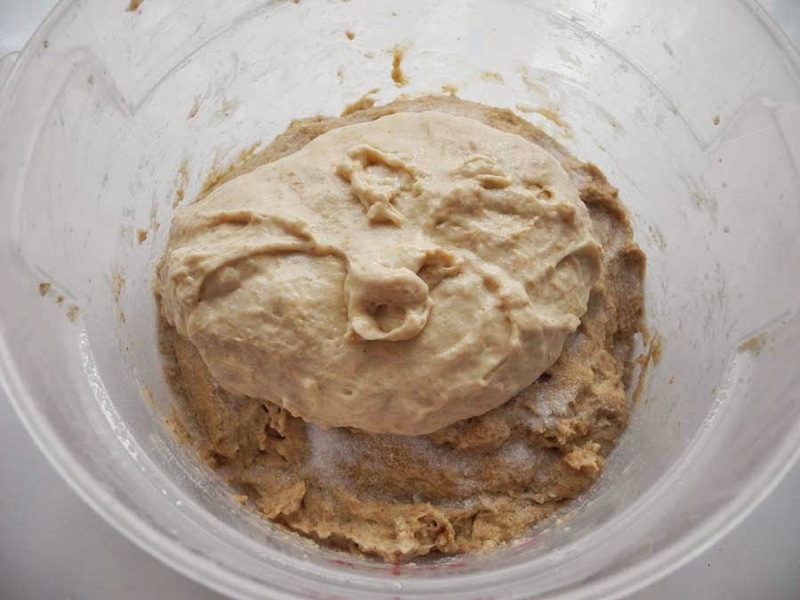 Ken Forkish instructed 'pincer method' for the final mix in his book, with which I stretched the dough from the bottom from one side and folded it onto the top, folding the levain and the salt in the middle of the dough, and repeating it 4 times from all the 4 different angles. Then I pinched the dough with my fingers to divide it into 6 small pieces, folding all the pieces together over everything from 4 different angles again (as shown below). I repeated this set for 5 - 6 times. I was not sure how effectively it would work, but after repeating this pinching and folding method for 5 - 6 times, the dough seemed to be mixed thoroughly to become one smooth dough, more quickly than I expected. 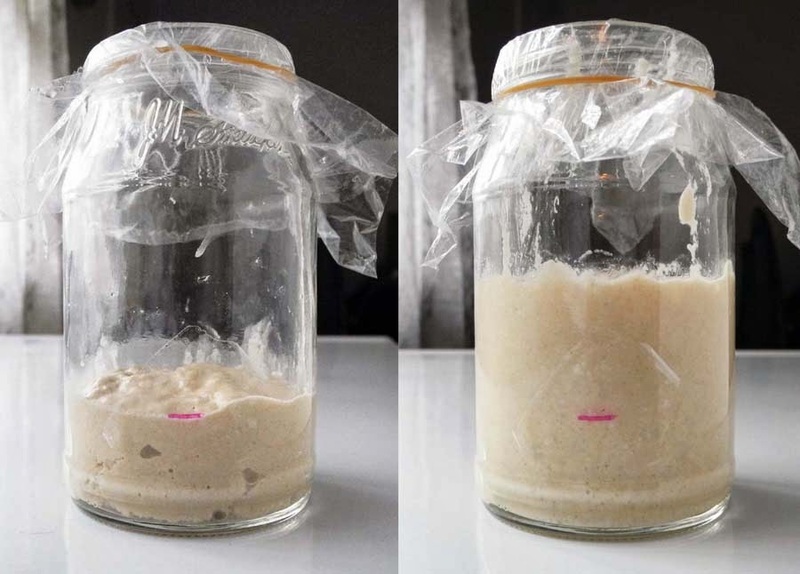 I like this method, since it also seems to give the dough a good strength to develop the bread structure (almost like kneading the dough), which also keeps the dough temperature warm and in good condition during the bulk fermentation. During the bulk fermentation, I folded the dough for 4 times in the first 2 hours. 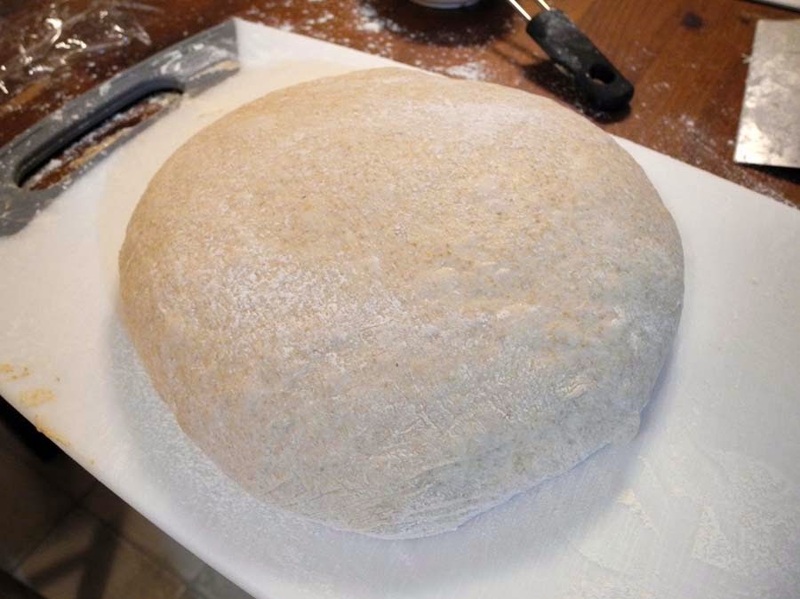 While Robertson instructed 6 times folding in his Tartine book, 4 times seemed to be just right in this Forkish recipe to develop enough strength of the dough (perhaps the dough was folded for several times already during the pincer method, I suppose). Since the kitchen was very cold, I put the dough container in the oven with the light on for the last couple of hours of bulk fermentation. I also put a pot half filled with hot water on the bottom of the oven, so the steam would keep the temperature around 78F. 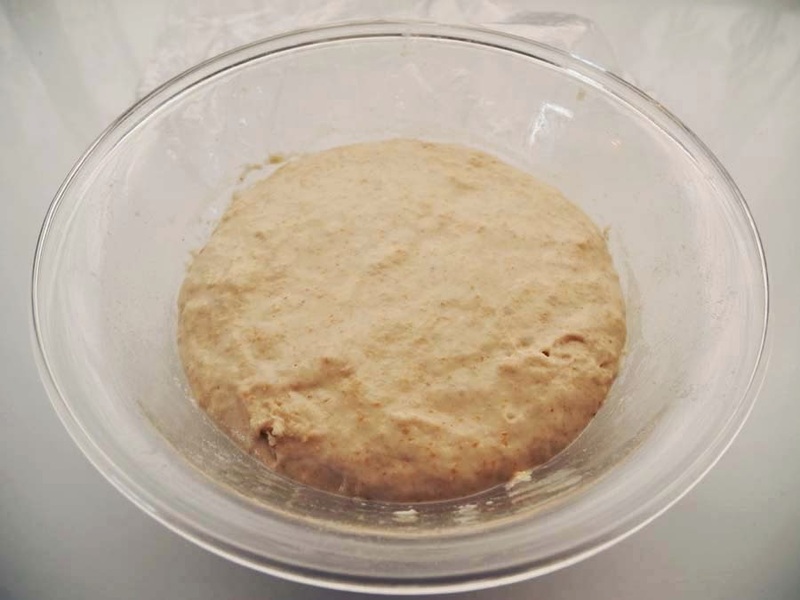 The dough has risen to double in 5 hours, ready for shaping. 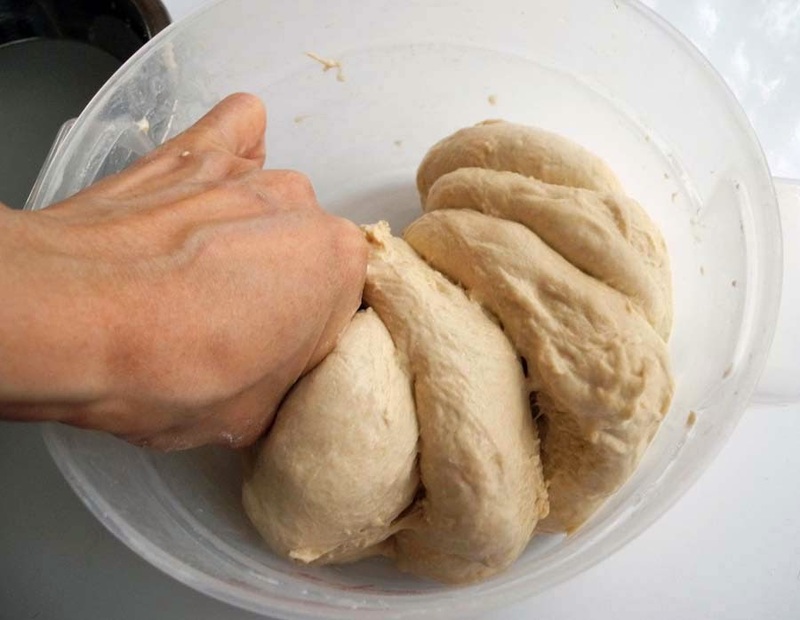 "Cup your hands around the back of the dough ball as you face it. 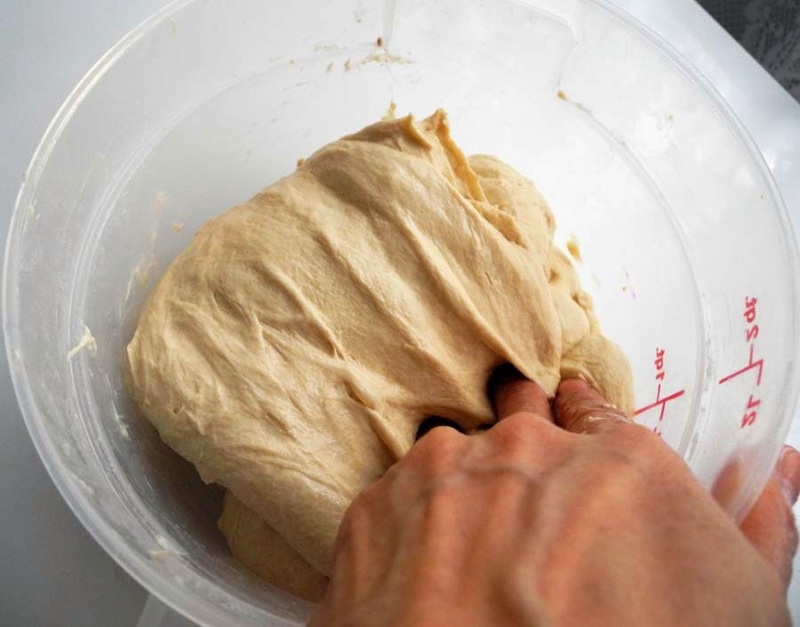 Pull the entire dough ball toward you on the dry, unfloured surface, leading with your pinky fingers slide across it. As you pull, this will tighten up the ball and add tension to it." 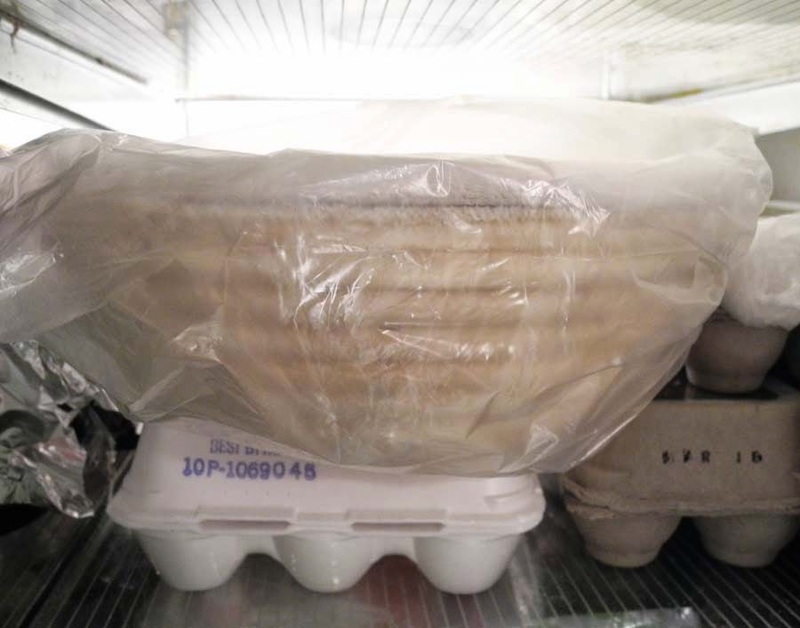 For the final rise, I put the covered basket of the dough in the refrigerator overnight (12 hours). 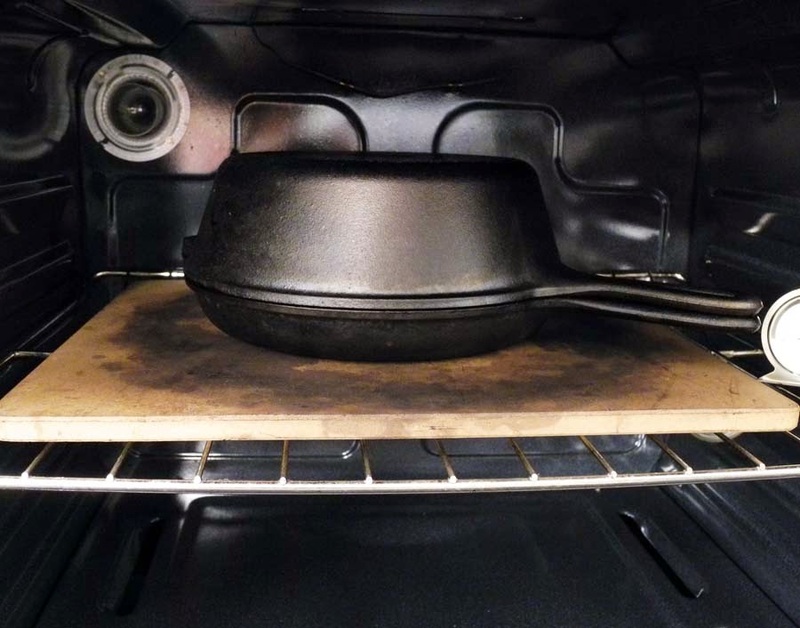 Next morning, I set a 3-qt Lodge cast-iron combo cooker on a pizza stone in the middle shelf of the oven, then preheated the oven at 475F for 45 minutes before baking. 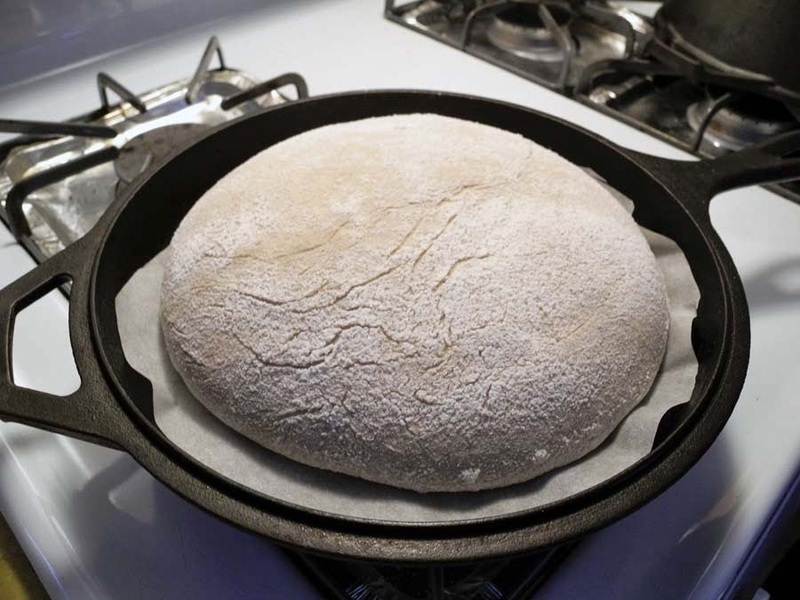 Forkish instructed to use a 4-qt Dutch Oven in his book, which should work great as well. 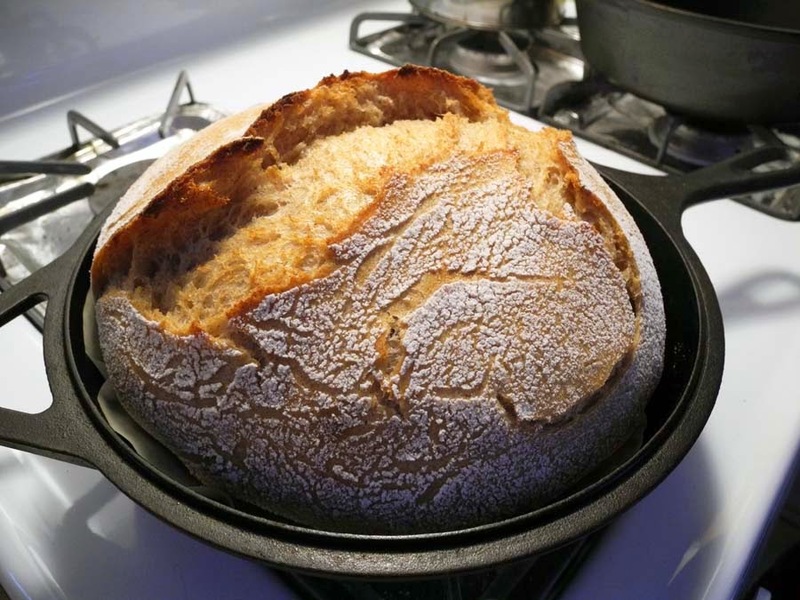 I like to use a combo cooker, though, which I learned from Taritne Bread, since it is easier to place the loaf onto a shallow pan. 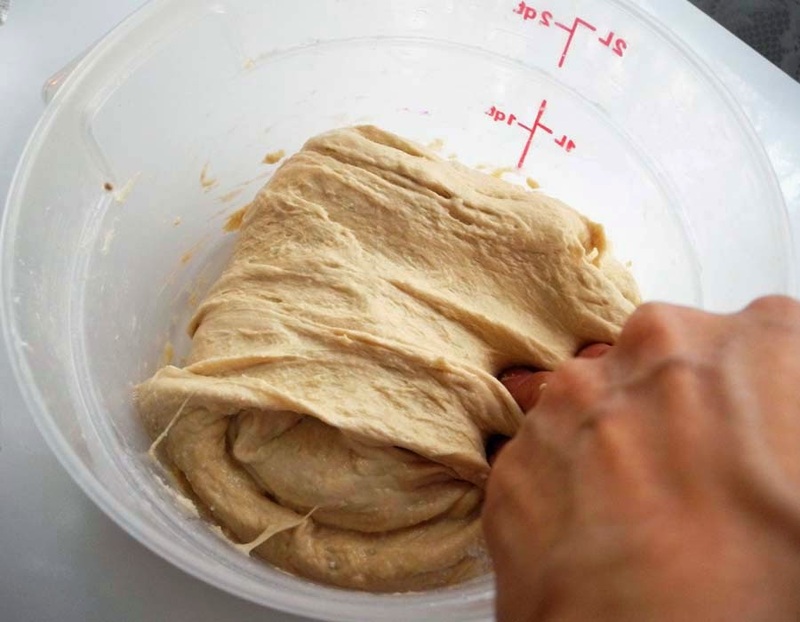 With the finger-dent test, the dough was ready for baking after 12 hours. I baked the dough right after taking it out of the fridge, as Ken Forkish suggested. The cold dough seems to get a better oven spring in the hot oven. 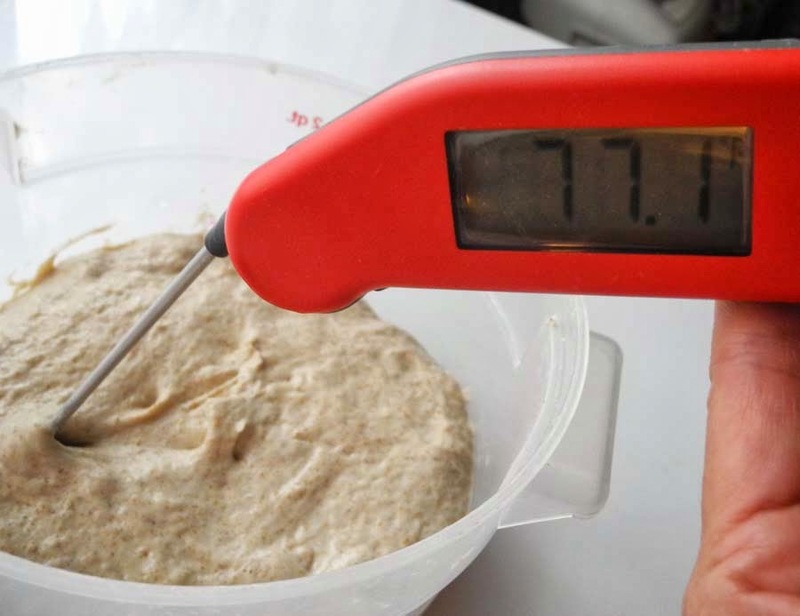 When the dough was proofed in the refrigerator, it is a little bit difficult to judge if the dough is fully proofed or not with the finger-dent test, since the cold stiff dough reacts to the push much slower. Here is a very helpful discussion from The Fresh Loaf on the finger-dent (poke) test on a cold dough. Forkish instructed to place the loaf into the Dutch Oven by lifting it with hands, but I had troubles with placing it in the right position of the pan for several times before, so I used my own method. 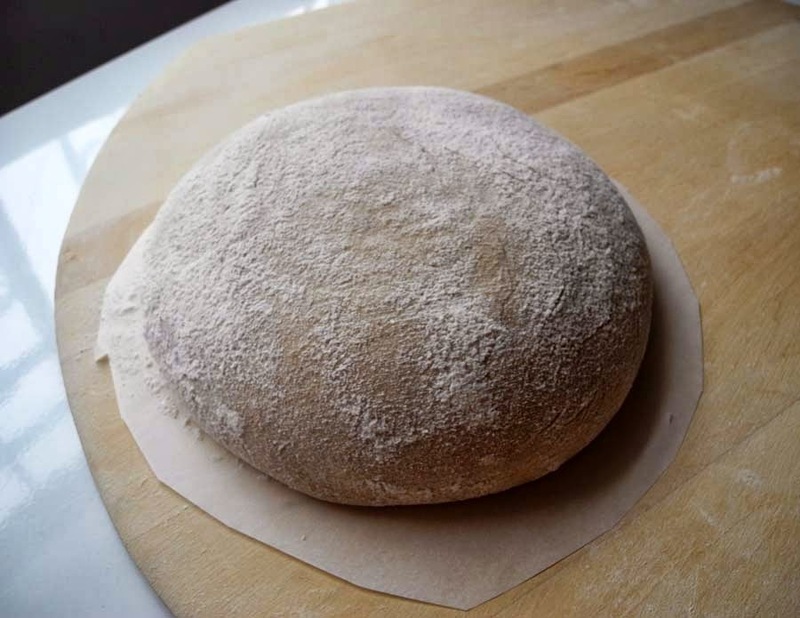 First I put parchment paper on the dough basket, then carefully flipped the basket over while holding the paper and the loaf with my left palm, then gently put it on a pizza peel. I cut off the excess of the parchment paper around the loaf, so it would fit in the cast-iron pan. Then I slid the loaf into the pan slowly from the pizza peel. Following Forkish's instructions, I did not score the loaf before baking. The seams of the loaf are supposed to crack themselves naturally in the oven. I baked it with the lid on for 30 minutes at 475F, then took off the lid and baked for 20 more minutes. The oven spring was superb, and I love the natural cracking at the seams (I baked the seam side up without scoring as the book instructed). It was the best-looking cracks on the loaf I had ever seen (in my kitchen)! The crust was incredible - very thin and crispy, not thick or too hard at all, and as time went by for several hours, the crust started to release an intoxicating sweet aroma, like roasted espresso beans. 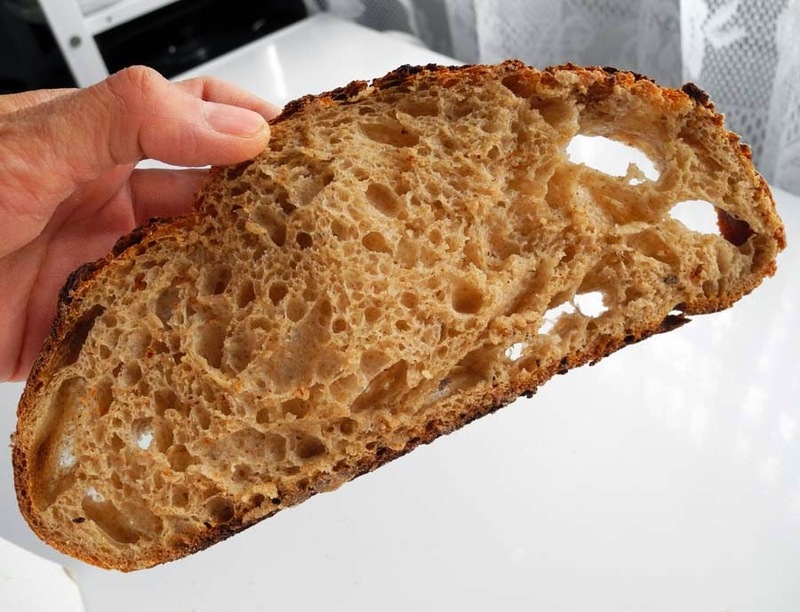 The inside crumb was soft and slightly chewy with mild flavors and rich complex tastes with a natural sweetness, which must be a result from a fully developed/fermented dough and the mixture of different flours. The rye flavor was subtle but definitely there. 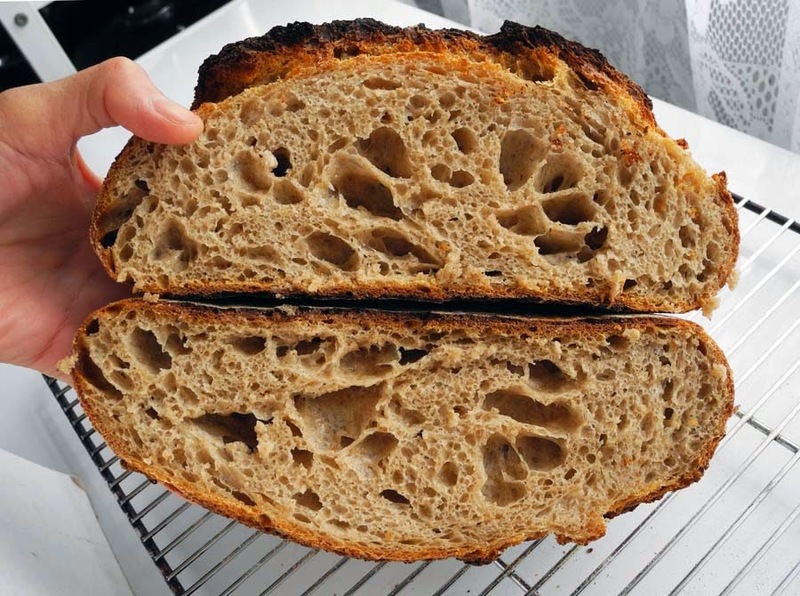 The ratio of 12.5% whole wheat flour, 17.5% whole rye flour and 70% white flour seemed to be ideal to create a good balance of the earthiness of whole grains and the lightness/softness of the white flour. Since it was the first time I baked a loaf from this book, I tried to follow Ken Forkish's instructions in the recipe as precisely as possible, especially the water temperatures and the durations for fermentation. It was a very cold winter day (around 17F outside with a deep pile of snow), and the timings and the water temperatures seemed to be precisely perfect to bake a loaf in this kind of cold day. The final result turned out to be a fantastic loaf - all the textures, tastes, flavors and the look were exactly what I had been dreaming about as a perfect artisan bread. Forkish's instructions in the book are very precise and detailed, so it was easy to follow each step in the recipe. It was definitely the best sourdough bread I had ever baked. I made a modification to the final shaping section, to explain more details of Forkish's instruction from the book. Yum! You've just enticed me to try a harder recipe from his book. I've been sticking to his Saturday White Bread for the last three weeks because I think it's a good way to learn and improve on technique. Now I'm in a comfortable spot, and I don't want to change. Thanks for the encouragement. :) Baby steps. Great writeup! I just took my first try at this loaf out of the oven and it looks fantastic! I can't wait to cut it open. 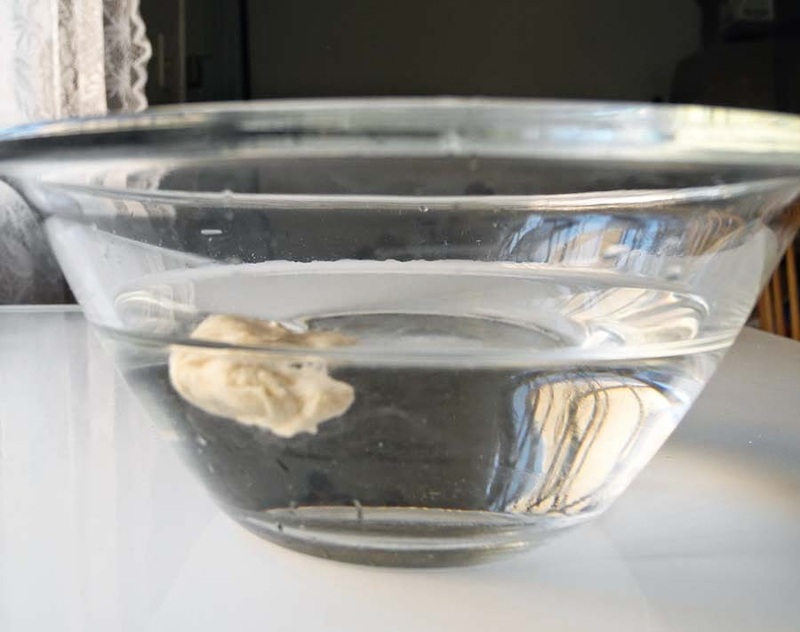 Do you have any idea why the author recommends weighing the levain into a bowl of water and then into the bucket, rather than straight into a bucket? I was tempted to go straight in, but though that the levain picks up a little extra water that the recipe counts on. Not sure where my comments are going???? I don't see them. Hi, when you half the ingredients for just one loaf, do you also half the instant yeast? Thanks. Perfect description! I have his book and your description in the opening lines is perfect too. To anyone who is reading this blog, Yuko has detailed this method in such exacting detail, I thought I was reading the book itself. I've got three books by different authors and the Forkish book is by far my go-to bread bible. I prefer Ken Forkish's methods and amounts to Chad Robertson's. I get runny dough with Robertson's recipes, and I am fed up!!! Ken is superior. 1) throwing away that much levain is too wasteful to me. Not for a home baker. 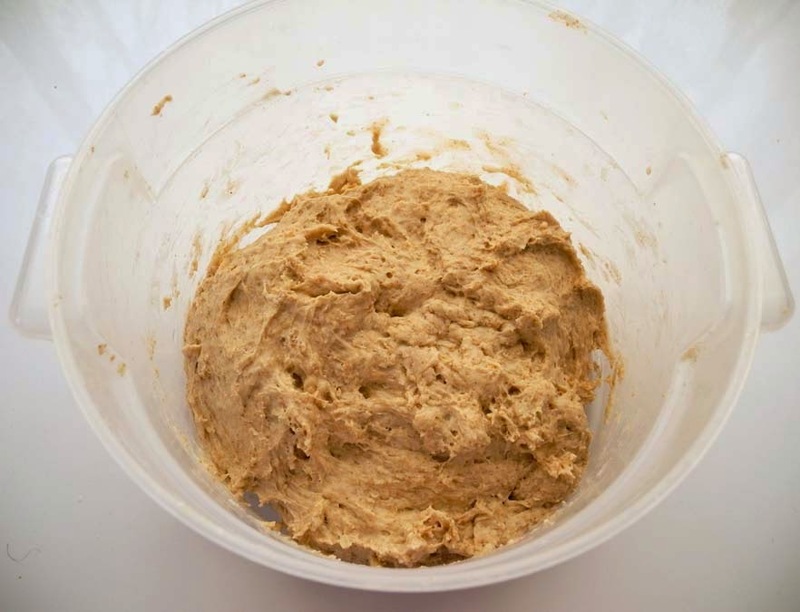 2) My dough was too wet. I consider this user error but was quite disappointed. I'll try again. 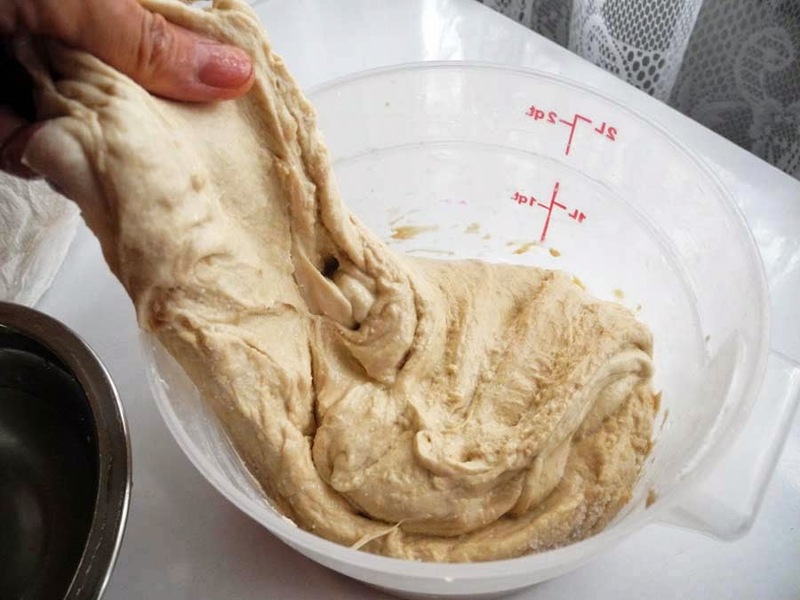 Hi Linda, sorry for having difficulties in handling your dough … Yes, this is a very wet dough, but after 3-4 foldings, the dough gets firmer and easier to handle. Also, applying some water on your hands when folding will help. Hi everyone who gave me such nice comments in my blog … I am deeply sorry for not replying to you all, since I was not smart enough to check these comments in 'waiting for confirmation' box which I have never checked (and even did not know if it exists...), so I just found all these nice comments recently (Sept. 2017) … I will try to answer to you one by one, though it might be too late. Big apologies to all of you!